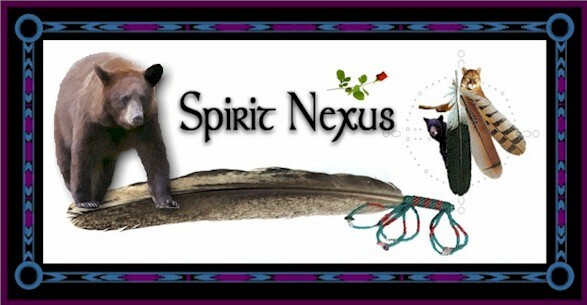 Hi guys if you put spiritnexus.org into your browser and ended up here it is because I gave up my webhost! The articles from the site are here on the blog. There is a section behind my photo site http://bhodsvatan.com/spiritnexus that has the Tools for Growth section with all the divination scripts and the earth change maps and diagrams as well as the pdf files. There is a spiritnexus facebook page at http://facebook.com/engtovo The pages at the bhodsvatan domain can be reached inside a tab on the facebook page as well, and there is also a tab there for the latest blog posts. Now both audio and PDF are on my sky drive account so all the channeling as well as most site files in general can be found by browsing there just click below. My first time to this site, very nice. And, thank you again for all the work you have put into it. It was a good idea to showcase your photography. I’ve never had much success with landscapes, but then, that was something I never had a desire to focus on, which is a bit odd considering that I live in western Montana. There are literally herds of photographers traveling here and there to capture the mountains, or the wildlife, or the rivers and trees, and that’s wonderful! But you go to an art show and the photography for sale is of…mountains and wildlife and rivers and trees. Or “Olde West” buildings. Or guys pretending to be cowboys. I like shooting architecture, mainly, but whatever the subject may be, what I’m trying to capture is balance. I walk around, stand here or there, or sometimes lay on the ground, because sometimes that’s where it is. If I can’t “find” it, I usually take the picture anyway so I don’t feel like I wasted my time. I like doing close ups, of buildings, machinery, anything, really, as long as I can find the balance there. I can’t really tell you what it is, because it’s more a “knowing” than “seeing” but I know it when I see it, obviously, or I couldn’t take a picture of it. Thank you again…oh… how long has this been up? I haven’t been by since, I think, June. I had a blog on the Nexus site for spirit stuff, and then at one point i had a photo blog, and a poetry blog. It all got to be too many blogs so I started to put this one together but I didn’t really use it for a while. So I have had it all up and running as is only a couple weeks, I transfered all the old posts from Spirit Nexus over and now with only one blog maybe I will get more writing done 🙂 I haven’t done a lot of architecture photography but then again I live far away from any architecture! I used to live in the Flathead for about 5 years, but my old camera had broken so I had no camera at the time. Lots of journeys to Glacier National Park but only 2 or 3 rolls of film for 5 years time.